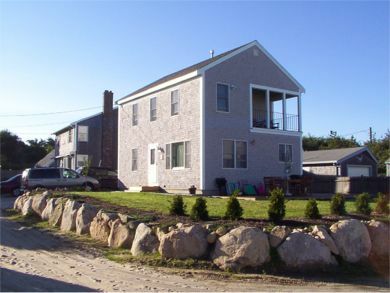 This spacious and comfortably furnished colonial at 19 Mandigo Road is newly built in 2001, with deeded beach access to Cape Cod Bay for you to swim/sun/fish at your leisure and located exclusively on the northside of Dennis, between Chapin & Mayflower beaches. Scenic Route 6A, the Cape Cod Playhouse, art Galleries and antique shops are a few popular reasons to vacation in Dennis. Closeby are tennis, golf, whale watching, charter fishing, hiking and biking, inland rivers and coastal creeks for kayaking or canoeing and more. The Beacon is fully furnished within the 3 bedrooms, 2 baths, washer/dryer and a nicely modern kitchen offering an eat-in congregate-on island that is also open to the very comfortable living room. You will be pleased with the generous natural lighting in each room spilling into the windows that are open to a wonderful ocean breeze. K-Cup coffee maker, Tenants are responsible for providing their own hand/bathroom towels. Linens will be provided for the beds. No Pets. The Beacon has water views(continued)from both second story porch and also, the ground level mahogany deck (12x8 & 26x12), both with cozy furnishings,to enjoy unforgettable sunsets and relaxing bbq dinners on the deck..all the best of this vacation location and close enough to the beach, you can leave your shoes under the bed! Perfect beach, perfect location, perfect vacation. The accommodations reflected the owner's attention to detail, which made our week very relaxing. We enjoyed the food and entertainment at the nearby restaurants but also enjoyed cooking on the grill and watching the sunsets . We looked forward to our daily tidal walks and watching the shore birds..The beach was just a stone's throw away. 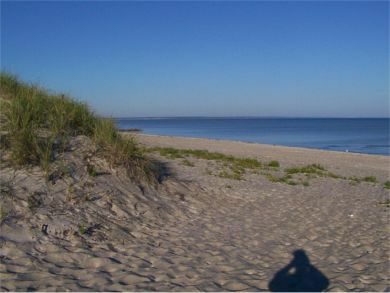 The Beacon, with all its amenities, was a great place to unwind and enjoy a vacation on Cape Cod. We can't wait to go back next year. My family and I have rented the "Beacon" for 5 years. This home is in a "picture perfect" location. The sunsets are like non-other. Each and every year we always found the Beacon well equipped and "immaculate"!!! Unfortunately we have outgrown this property as our family has grown. I have yet to find a property that compares. Your cannot go wrong with the Beacon. Enjoy! !